A medical alert system is a great choice when it comes to making sure that mom and dad live safely on their own. 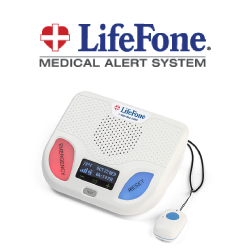 However, not every medical alert system offers the same great online resources that LifeFone offers. Separate areas of the website allow you to create an online Emergency Care Profile, get answers to frequently asked questions, and there’s even a section of the website that can help you convince a loved one that they should consider a medical alert system. No other system goes above and beyond to provide you with online support like LifeFone. In addition, LifeFone has a new and improved at-home, cellular system with a range of up to 1,300 ft. They also offer a new voice-in-pendant system that works both at home, on-the-go, and it even works while it’s charging. With so many great online resources, you can rest assured that everything you need to know is on the website. All four of their plans have their own page that outlines the benefits of each system in great detail, and each of their systems can easily be purchased online. You can always call and talk to a representative if you’re uncomfortable doing everything online. You can also call or fill out the custom form on the “Request Info” tab to request a two-page brochure. The brochure can be sent by mail or email. They even offer a free month of service to both you and a friend for referrals! Don’t want to mess around with online forms or spend all afternoon on the phone? LifeFone also offers a printed brochure that can be mailed to your home that will help you make an informed decision. No other provider offers as many equipment choices as LifeFone does. From multiple in-home units to various GPS units, you have tons of choices, so make sure you research your options carefully. LifeFone offers four separate plans, and three of those plans come with a traditional in-home unit. The landline and cellular base units have a service range of 1300 feet. Each plan comes with your choice of a portable bracelet or pendant. You can also pair a GPS unit or fall detection pendant with your in-home unit. Although setting up most medical alert systems is fairly simple, LifeFone makes it even easier by illustrating the steps on their website. Under the ‘How it Works Tab,’ you can find the link titled ‘Easy System Setup.’ On this page, they show you exactly what needs to be set up, and exactly how to do it with step-by-step instructions. First, plug in the console. Then, plug the landline jack into the wall. Plug your phone into the LifeFone unit (skip the last two steps if you have the cellular unit), then turn it on. Push the help button and inform the customer service representative that you’re testing your system. LifeFone offers quite a few pieces of equipment with their plans. Nearly every plan includes an in-home base unit. The exception is the all-in-one Voice in Pendant. Each unit can be paired with an emergency button and fall detection. The setup is pretty basic with the in-home systems. A fall detection button is simply added to your plan. Things are a bit more complex with the GPS plans. The regular On the Go system can come with a fall detection button, but it isn’t integrated into the GPS unit itself, which can be a bit of a hassle as it means you have to bring both a pendant and the GPS unit with you when you leave home. However, it is important to note that the fall detection pendant is waterproof so it can be taken in the shower. If you don’t want to have to bother with so many different accessories, choose the On the Go system with Voice in Pendant as it integrates fall detection into an all-in-one system. It is waterproof as well. Battery life is important for all medical alert system equipment. Both the fall detection button and emergency button utilize a battery that does not need to be charged. The all-in-one unit can hold a charge for 36 hours. The regular GPS unit only holds a 24-hour charge. The in-home base station has an emergency backup battery of 32 hours. Setting up the system will depend on which system you choose. Landline systems need to be plugged into the wall and the phone jack, while cellular systems only need to be plugged into the wall. No matter what plan you choose, there’s no additional setup needed for the fall detection pendant. It works automatically with each system. Because LifeFone’s regular GPS service truly is like having two systems in one, there’s a lot of equipment. Both the traditional in-home unit and the GPS unit should be set up in the home. Because the traditional in-home unit offers 600 feet of coverage and the GPS unit offers an additional 350 feet of coverage, you can rest assured that emergency help is only a button push away. The in-home base station has an emergency backup battery that can function for 32 hours without power. The mobile GPS unit has a charge of 24 hours, which means you’ll have to make sure that you charge it every day. Unlike other systems, the GPS unit works while it is being charged. Because the GPS unit offers its own area of coverage, and because the in-home base unit cannot be taken with you off your property, each plan also comes with your choice of a neck or wrist pendant. These pendants are waterproof so they can be taken in the shower. Fall detection is also available, but it requires a separate fall detection pendant. If you’re looking for an all-in-one solution, LifeFone does offer a two-way voice pendant that functions as a mobile and in-home unit. Like the other GPS system, it still works while it’s tucked into its charging cradle. An additional button is provided so that you can continue walking around your home while it’s charging. It’s also a good idea to wear the button, instead of the pendant, while you’re sleeping. Fall detection can be integrated into the unit, so there’s literally nothing else for you to carry besides the all-in-one unit when you’re out and about. The set-up is easy. Just plug your equipment into an electric outlet that is not connected to a light switch. You don’t want to accidentally turn the switch off and disable the system! Because both GPS units utilize AT&T’s cellular service, neither unit needs to be plugged into a landline. The setup is the same with the At Home & On-the-Go system with a base unit and mobile unit, or the At Home & One-the-Go Voice-in-Pendant. LifeFone’s customer care agents are standing by 24/7 to assist you if you have questions. In order to get the best coverage, it’s a good idea to set up the in-home unit and mobile GPS unit in different areas of your home. If you choose the all-in-one unit, make sure that you wear the button pendant while it’s charging so that you’re still protected. It does have a 300-foot range. Because there are so many plans, getting the costs straight can be a bit of a challenge. Plans start at just $24.95 for the basic in-home unit that utilizes a landline. However, the monthly fee ultimately depends on whether you choose to be billed monthly, quarterly, or annually. The low price of $24.95 is only available if you pay annually. If you choose to pay month-to-month, you’ll end up paying $29.95. The cellular based in-home unit costs even more, but the difference in price is much less than the cost of maintaining a landline telephone. Annually, the monthly fee is $30.95. Paying month-to-month, the cost is $34.95. Make sure you look at the pricing breakdown carefully so you choose a plan that fits your budget. Adding fall detection to your LifeFone plan can be more affordable than other providers. Fall detection only costs an additional $5 a month when you choose the basic in-home system. With the cellular system, it only costs an extra $6 a month. 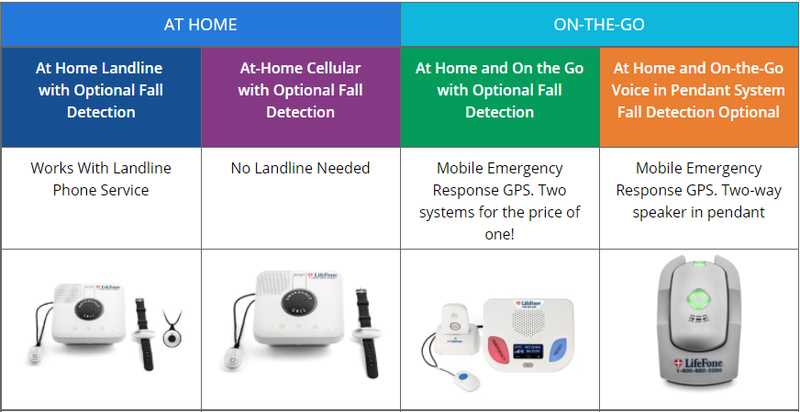 If you want the combined in-home and GPS system, the addition of fall detection costs $10 a month. The all-in-one Voice in Pendant GPS system can utilize fall detection for just $5 a month. The all-in-one system is more expensive. Plans start at $42.95 per month with an annual plan. However, adding fall detection costs less than it does with the other GPS plan. LifeFone does offer some discounts that make their plans more attractive. There are no activation fees, no equipment fees, and you can enjoy free shipping with some plans. 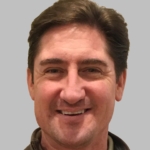 They also offer a lifetime subscriber price guarantee, a lifetime subscriber equipment guarantee, and unlimited emergency contact notifications. If that isn’t enough, they even offer a 30-day money back guarantee! 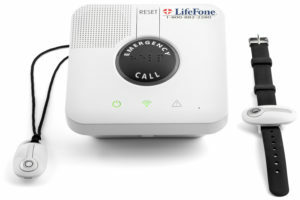 ALERT: We found LifeFone running a promotion for Free Month of Service and Free Lockbox when you call and use promo code “Holiday19”. You will need to call to redeem this special offer. At this point, we do not know how long this promotion will last. Customer service representatives are available 24 hours a day, 7 days a week, 365 days a year. They also make it easy to figure out exactly who you need to contact with the ‘Customer Service’ link underneath the ‘Customer Care’ tab on their website. This page outlines which phone numbers you should call, depending on the service you require. Email addresses are listed so you can get your questions answered without having to call in. In addition to 24/7 emergency response service, LifeFone can also help you with some of the more routine, but important, aspects of daily living to ensure your well-being. For in-home systems, you can choose to add care tools such as check-in services, medication reminders, and system status alerts. Caregivers, friends, and family can even use the GPS system to locate their loved one. Prices for these services range from $6 to $19 per month. All representatives are U.S. based employees. 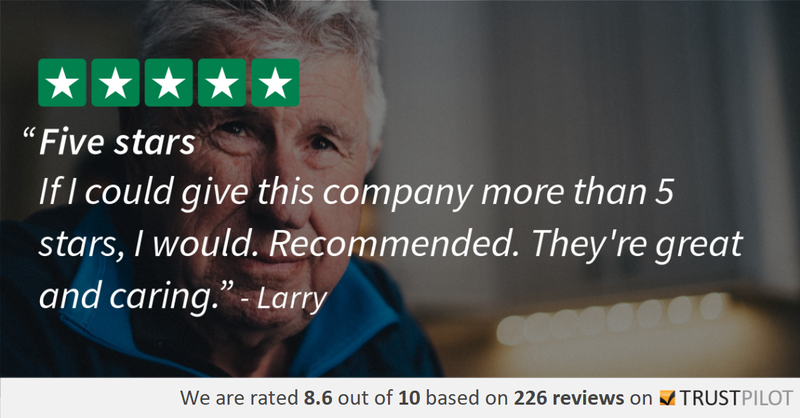 LifeFone has an A+ rating with the BBB and is recognized by the National Council on the Aging, the National Stroke Association, WebMD, and the National Institute of Senior Citizens. They also enjoy an ‘Excellent’ rating of 9.2 on Trustpilot. LifeFone offers multiple service options, most of which come equipped with their in-home unit. Extensive online resources allow you to choose a plan that’s right for you, but pricing that includes additional features may require you to contact a customer service representative to figure out exactly how much your plan is going to cost. when you order by phone.